Jurassic Park’s chief geneticist. Dr. Henry Wu was the man who engineered all of the dinosaurs to be female, to prohibit their breeding as a form of population control. He also made them lysine-deficient, so that if they ever got off the island they would be unable to survive for very long. 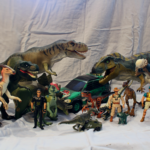 Dr. Wu didn’t believe Dr. Ian Malcolm’s theory that “life would find a way.” He insisted his efforts had ensured complete control over the animals in Jurassic Park. Although he left on a boat to the mainland-along with all other non-essential InGen employees-convinced that his work was foolproof, his assertion that the animals were under complete control was proven wrong after the Incident at Nublar; which saw the breakout of his creations and evidence of breeding. In 1994, Henry Wu returned to Isla Nublar as part of the clean-up team. He assisted in cataloging the specimen numbers as well as identifying how exactly the Island’s dinosaurs were breeding. He determined that it was frog DNA that had allowed the animals to change gender due to how well it adapted to the cloned DNA of the dinosaurs. In 1997, Dr Wu and his research combined several species of plants to create the Wu Flower. (Karacosis wutanis) This created a worldwide sensation, which brought the attention of Simon Masrani, who shortly after acquired InGen. 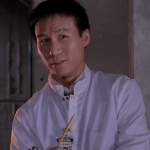 In 2000, Masrani promoted Henry Wu to the position of Lead Genetic Biologist within the Jurassic World project. Henry Wu oversees Masrani Global’s many InGen facilities, including the ‘Martel’ facility in Siberia. 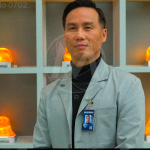 Dr. Henry Wu was responsible for the creation of the Indominus Rex. Wu was present for the birth of the animal in the creation laboratory. 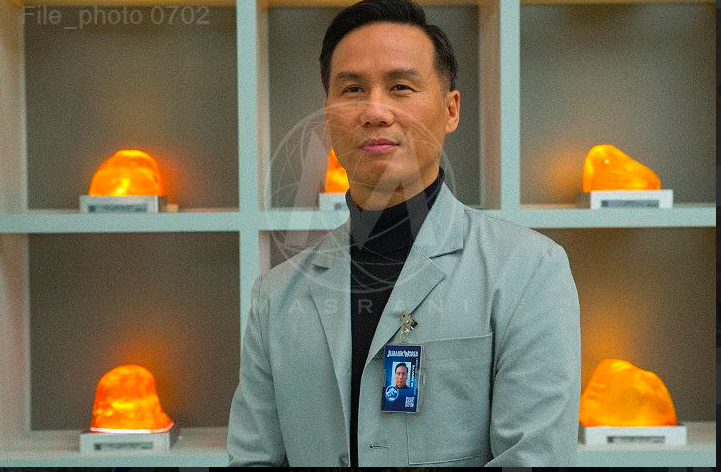 Later, Henry Wu would accompany Claire Dearing in leading a group of investors around the Creation lab as they informed their visitors about the properties of the Indominus Rex. Henry Wu was shown to be extremely secretive, keeping his laboratory protected by a passcode. He also refused to disclosed to senior staff the exact dna mixture of the Indominus, declaring it ‘Classified’. When confronted by Simon Masrani about the deaths caused by the Indominus Rex, Wu defended his creation. Masrani accused him of being a mad scientist, to which Wu answered that he had only been following Masrani’s memo to the letter. Later on, it was revealed that Henry Wu had been secretly colluding with Vic Hoskins in the creation of the Indominus Rex. Wu had been hiding his experiments from everyone else including Masrani in his laboratory. Among his experiments were planned additional dinosaur hybrids including Stegoceratops for possible military applications. Wu was also experimenting on live animals in his laboratory, altering their physiology. During the evacuation of Isla Nublar, Wu was reluctant to evacuate the embryos as well declaring that they would last six weeks with power. Hoskins however persuaded him by insisting that the park would be bankrupt by the morning. Wu then retreated to a nearby helicopter while the ACU loaded the embryos from his laboratory into the chopper. However as the Helicopter was about to depart, he was surprised that Vic Hoskins was not on board. However, a bearded Ingen Soldier assured him that the plan was still in place, and Wu successfully evacuated the Island with the embryos.